From I-64: Take the Lightfoot Rt 199 exit (Exit 234) towards Lightfoot. Proceed on Rt 199 until the Longhill Road Exit. At the stoplight merge right onto Longhill Road. On Longhill Road proceed for about 3 miles. 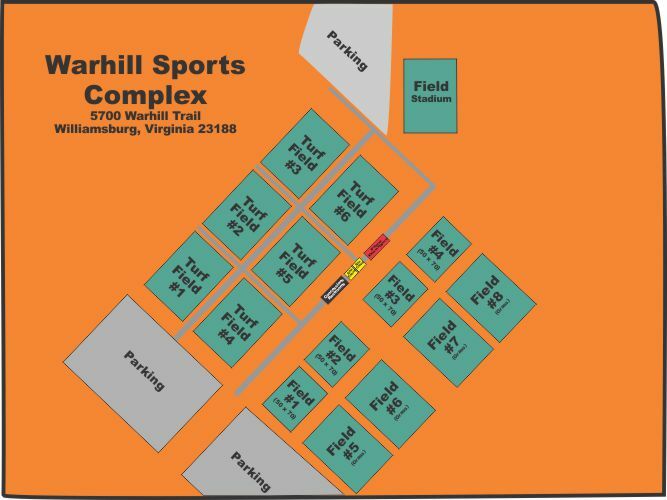 The Warhill Sports Complex is on your right, 1/2 mile past Lafayette High School. Enter the park and follow Warhill Trail to the end of the road. The fields will be in front of you; turf fields on the left, grass fields on the right.